"Clothes Buffet? Are you sure?" "Yes. I am pretty sure." 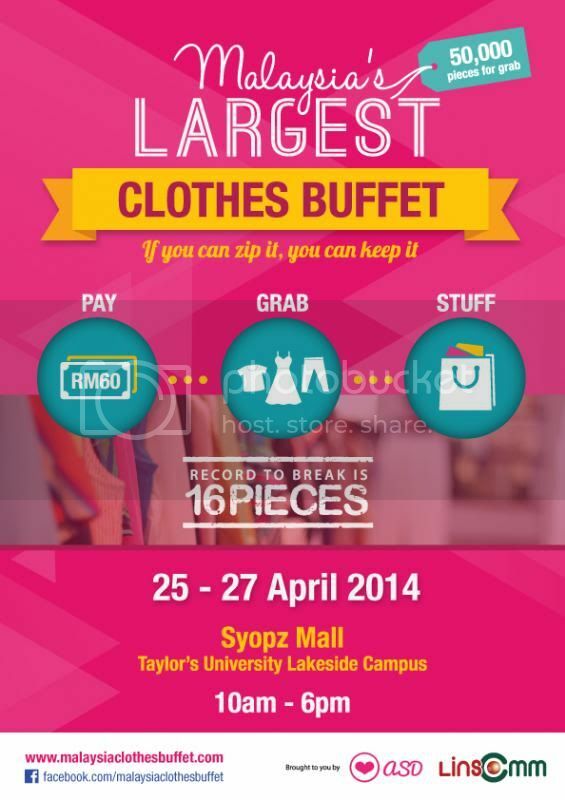 This clothes buffet is happening from 10 am - 6 pm at Syopz Mall, Taylor's University Lakeside Campus. 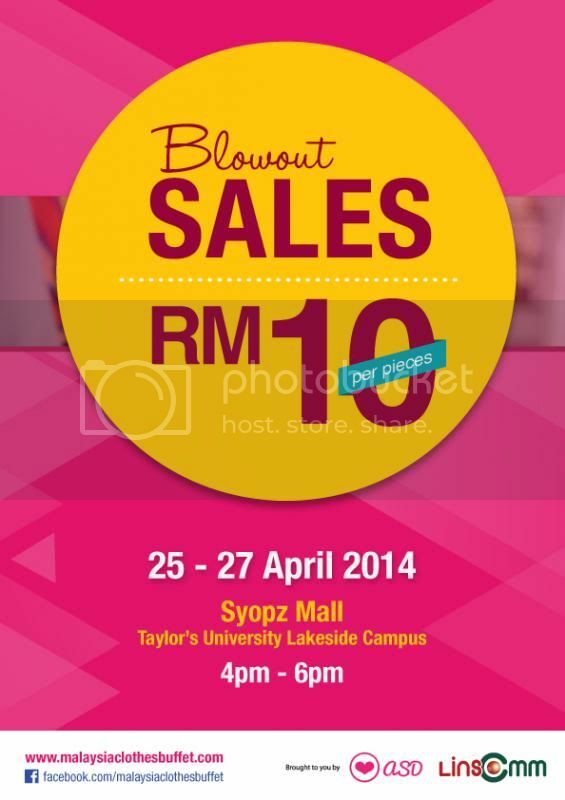 This event aims to bring shopping to a whole new level for young fashionistas without breaking the bank. The concept of this clothes buffet is almost the same as the food buffet. 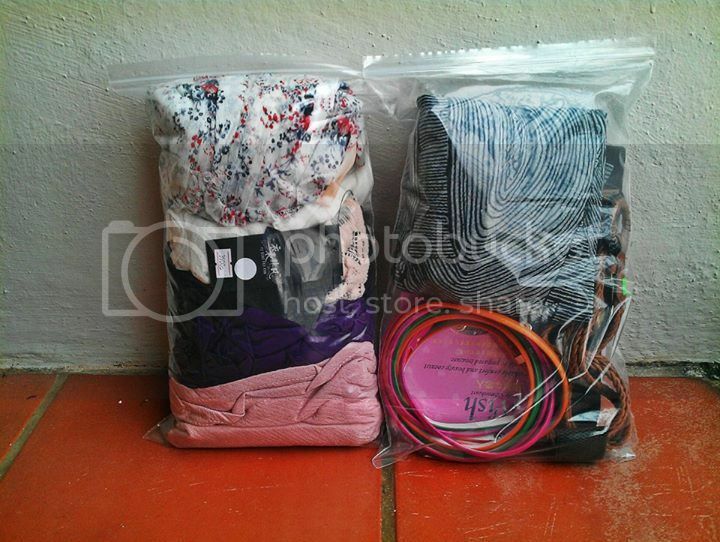 The difference is that you will be given a ziplock bag of 9 x 14 inches big with a fee of RM60 and be allowed to grab as many pieces as you can in 15 minutes. On each of the three days, there will be a Blowout sale where each piece of clothing will be on sale for RM10 only from 4 - 6 pm. 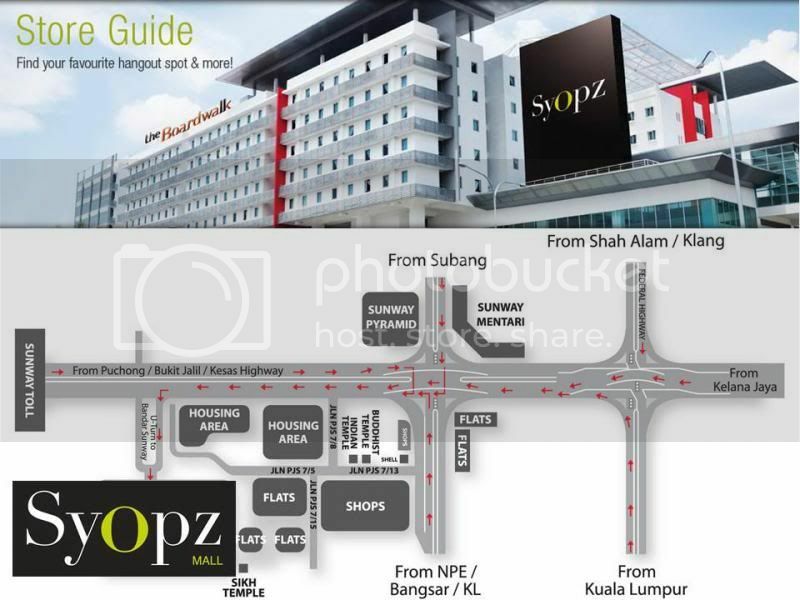 A variety of stalls will also be participating in the adjacent fashion bazaar too. Previous clothes buffets garnered a number of crowds, so be prepared to purchase the tickets in advance at https://www.facebook.com/malaysiaclothesbuffet/app_434287979923319. For more info, check out the Facebook page at www.facebook.com/malaysiaclothesbuffet.